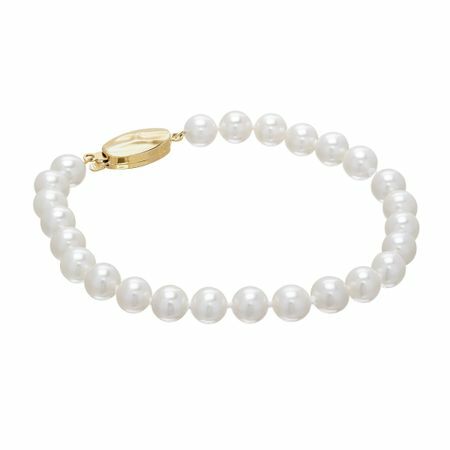 Wear this essential pearl bracelet on a glamorous evening out, or dress up a casual outfit for a day trip. 7-8 mm freshwater pearls are strung side-by-side and finished with a 14K gold clasp. Piece measures 7 inches in length and features a pearl clasp.